Background - Lilikoy Mananas​ ​​prepare the release of their debut release ‘Dangerous​ ​Calm​’ with the release of the dreamlike single “IAMWHATIAM​” in September 2017. The track delivers unashamedly pop melodies over dreamy guitar lines and melancholy tones. This is a great introduction to the band’s sound marking the beginning of what promises to be a very prolific year. 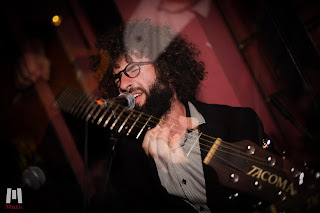 Lilikoy​ ​Mananas​ have a unique offering in the current Tel​ ​Aviv​ a contemporary musical landscape where they find themselves moving between the claustrophobic feeling of the modern world and a constant search for existential tranquility. Background - Cape Weather's debut single "Telephono" is out tomorrow. They signed to the Future Gods label a few weeks ago. The song prematurely hit Spotify a couple weeks back and got 'Fresh Finds' immediately and has been getting spins by several KCRW DJ's at the moment. It will drop everywhere this Friday, 9/8. The band is a collaboration between Natalie Smith and Eric Jackowitz. They’ve both played in bands for years; Eric playing drums for Nick Waterhouse, and Natalie releasing music under solo monikers. With Eric at the production helm, the record was made over the internet, with instruments being recorded and mixed in LA, Oakland, Nashville, New York, and Europe. Trudy and the Romance - WellBad - Adam & Elvis - M.I.L.K. Trudy and the Romance - Is There A Place I Can Go. Background - Somewhere among the daydreamers and heartbreakers, beauty queens and jock teens, Trudy and the Romanceare looking to lure you into their suitably skewed, cinematic world. On new single Is There A Place I Can Go’, the trios dubbed Mutant 50s Pop takes a more contemplative turn. The single is part of their Junkyard Jazz EP, which will be released through B3SCI on November the 17th. From character creation to alter-ego exploration, Trudys overtly-romanticised, technicolour realm runs deep. Like David Lynch dicing and splicing Walt Disney film reels, Junkyard Jazz EP is a larger-than-life introduction to their saccharine sound, right through to the Grease-style illustrations by LA-based artist Hello Thunderpuss. Lachlan Vines - This Could Mean The End. 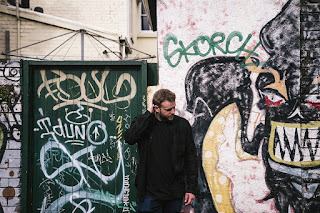 Background - Lachlan Vines combines soulful, emotive vocals with rich, colourful, modern sounds. His fusion of Rock, Soul, Pop and Electronic music provides truly original songs from the Sydney-sider. Twin Seas - Alpha Pup. 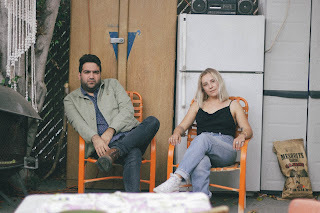 Background - On Friday, September 29th, LA Dream-pop newcomers -- Twin Seas -- will release their highly anticipated debut self-titled LP. Following in the footsteps of fellow East-LA creatives, Chicano Batman, Twin Seas has built a strong following in the SoCal area, playing to energetic, dancing crowds! Out of the East LA creative hotbed, Twin Seas was born. Inspired by 80s new wave, 60s psychedelia -- and of course, their own Latin roots -- Twin Seas creates a fresh soundscape that leads the listener on a voyage of warm tones and sun-kissed melodies. 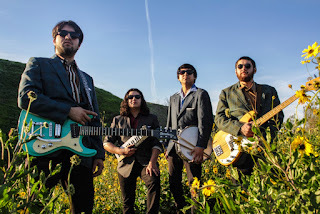 After forming in 2016, Twin Seas have made a name for themselves in the LA indie rock scene, playing to excited and loyal audiences all over the SoCal area. The crowd can't help but dance when the band breaks into favorites such as "Surf Wave", "Machine Gun", and "Alpha Pup." In a short time, the band has perfected the art of live performance. We Used to Make Things - Yes Man (no no no). 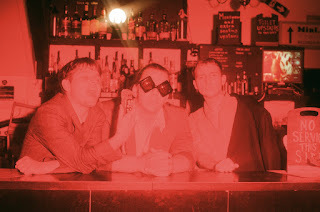 Background - We Used To Make Things are an East London based band, the product of a fusion of influences as diverse as ELO and The Beatles, taking in Indie Rock, Punk and Horns along the way to create an explosion of sound, perfectly exemplified by new single 'Yes Man'. The song is a about embracing the powerlessness inherent in our modern lives before a chaotic and angry eruption of sound rallies us with a battle cry against apathy, a catchy earworm of dissatisfaction. 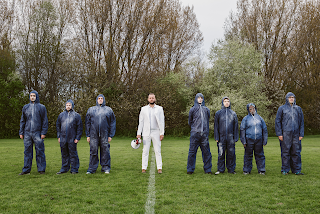 The band chose a name to hint at their disillusionment with post-industrial Britain but also more personally about a danger that accompanies adulthood, that of losing the ability to play, make mistakes, be creative and ultimately, make things.